Sole proprietors carry on business in their own names, without partners or shareholders -- it's the simplest form of business entity. 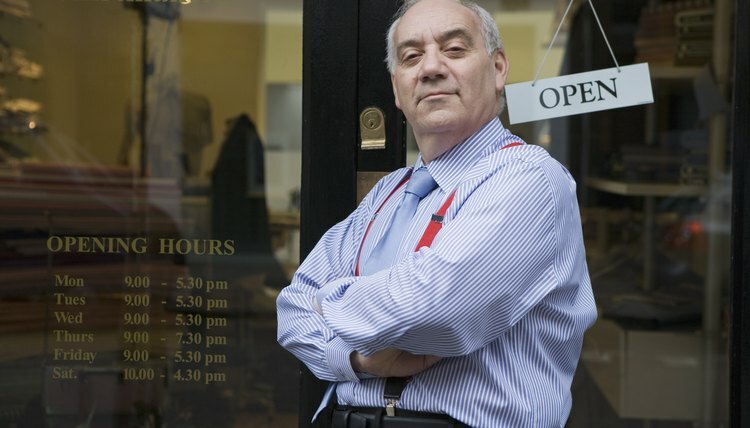 As a sole proprietor, you still must register your fictitious business name with the appropriate local government agency and file an annual tax return with the IRS and your state, if applicable. Sole proprietors pay income taxes on net income as individuals -- the business does not file a separate tax return. As a sole proprietor, you report business income and expenses each year to the IRS on Schedule C of your individual income tax return. The net income of the business is considered self-employment income and you report that on Schedule SE, which calculates the amount of Social Security and Medicare taxes you owe on the money earned. Self-employment tax is combined with other tax, and you pay a variable tax rate on the net income according to the amount of the income and your filing status. You may deduct expenses as well as revenues on Schedule C to arrive at net income. Even if your business did not have net income to report, you still may owe taxes on income you earned from other sources, such as a job, investments or rental properties. If you did not pay yourself any direct salary from the sole proprietorship, and retained all earnings in the business, you may still pay taxes on any net income showing on Schedule C. You may also be required to pay quarterly estimated taxes, depending on how much you expect to earn. It's important to remember that for tax purposes, you and the business are the same. You must file a Schedule C for the business if it was active, meaning it had income or expenses during the tax year. If you report expenses greater than income for the business, the loss can carry over to your Form 1040 and offset income from other sources. Expenses associated with the business must be incurred specifically for the business and not for individual living expenses, such as rent for your home or transportation for non-business purposes. If you have employees, you must file forms that report tax withholding, payments to independent contractors and W-2 forms that set withholding allowances. A net loss from your business may offset other income to the point that you may not have to file an income tax return at all. The IRS sets filing thresholds according to your gross income, age and filing status. For example, a single person under age 65 with less than $9,500 in gross income to report did not have to file a return for the 2011 tax year. Also, you do not owe any self-employment tax if your business did not earn at least $400 in net income. PriorTax.com: Who Has to File IRS Form 1040? When starting your own business, one of the most important decisions is how you want to organize your entity. The choice of a sole proprietorship is one of the easiest to form and easiest to report tax-wise. However, not knowing the forms to use, as well as anticipating your liability for self-employment taxes, can cause headaches come tax time if you don't do your homework.